If project planning, management, and scheduling are things you deal with on a regular basis then you understand how important it is to stay organized and streamlined. The QuickPlan Pro app can be used on your iPod touch, iPad, and iPhone and can help you be the most organized individual possible. This app is able to support project management, sharing of projects, synchronizing, and even offers support of Microsoft project plan. This is meant to be a complete solution that is functional, easy-to-use, and impacts your work in a positive way. There’s no need to take a course in management and planning or find yourself overlooking important details strictly because of poor planning. 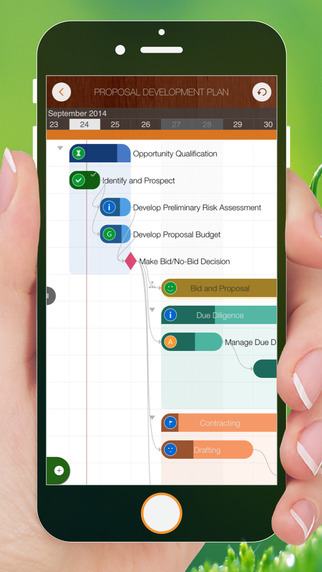 The QuickPlan Pro app can work as the perfect answer to those who take part in scheduling, project planning, and project management. The app uses natural gestures that allow you to quickly and very easily plan and manage multiple projects in one convenient location. What makes this app more versatile is the fact that you can synchronize your projects across as many devices as you want thanks to the iCloud, iTunes, Box, Dropbox, email, and AirDrop. You can even export your full project as a PDF, Excel, image, WBS files, and Microsoft project. It should be noted that the app requires iOS 7.0 or later to use. Users are feeling great about this offering and have awarded it four out of five stars. They have made comments on its impressive list of features, the fact it is so easy to use, and how much of a different it really makes in project planning. In its last update a bug fix was made to ensure stability. In a way you can think of the QuickPlan Pro as your own virtual assistant because with the help of this app you’ll feel so well organized and managed you’ll swear you have an assistant helping. 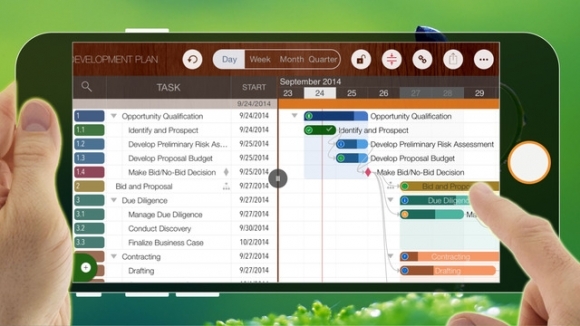 The app offers such features as being able to create multiple projects, you can organize the tasks into groups, add milestone, task properties, and so much more. 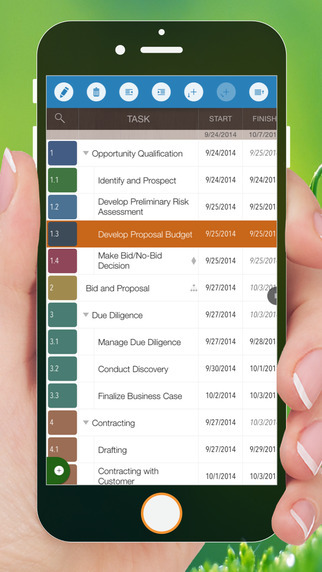 Use the app in Gantt chart views or outline views whichever you prefer. You can copy and paste tasks as well as divide and repeat them and the app supports partial and full project duplication. Obviously this app has plenty of business uses but it can also be used for planning your own personal projects if you like. The QuickPlan Pro app for your iPod touch, iPad, and iPhone may just answer all your problems by giving you a convenient way to plan all your projects. The feature list is what makes this app shine as there is plenty to discover here.